Bulgaria is one of the oldest wine makers in the world with traditions in both the grape growing and wine making. There are evidence for wine making in the land of Bulgaria from the Stone age: Thracians, Romans, Greeks, Slavs and Bulgarians used to know the excellent alcoholic product made of grape. As a fact Bulgaria ranked fourth in the world wine production in the late 1970s. Here we will review the wine regions in Bulgara and the local Bulgaria wine brands. Grapes are thrived in all parts of Bulgaria. For administrative reasons the vineyards have been grouped into five regions. Northern Region – The Danube plain north of the Balkan mountain. This area has long and hot summer season and long and cold winter season. The area produces red and white wine (e.g. the Suhindol, Russe and Svishtov wineries). Grown varieties are Muscat Ottonel, Chardonnay, Aligote form the white wines and Cabernet Sauvignon, Gamza and Merlot from the red wines. Eastern Region – The Black sea coast. The region which is affected by the climate from the Black sea produces mainly white wine. The summer months are not very hot, the winter is mild and the autumn is long with lots of sunshine. Grown varieties are: Dimyat, Muscat Ottonel, Traminer, Ungni Blanc, Riesling. The region between the south slopes of the Balkan mountain and Sredna Gora Mountain. The Balkan acts a natural barrier for the cold air coming from north, which helps for higher average annual temperatures. Wines: Rkaciteli, Cabernet Sauvignon, Red Misket, Merlot. The climate in this area is superb for red wine growing and that is why the area is best known for its red wines: Cabernet Sauvignon, Merlot, Mavrud. The red wined from this Bulgarian region have pleasant deep flavor and rich aroma. The smallest wine growing region in Bulgaria along the Struma river valley. Producing mainly red wines: Cabernet Sauvignon, Merlot and the local variety Wide Melnik Vine (in the region of the town of Melnik ). Gamza is an old local variety, cultivated in northern Bulgaria from old times. In Hungary, Slovakia, France, Romania, Yugoslavia, Austria and Turkey it is known as ‘Kadarka’. Until recently it was a basic wine variety for the production of red wines in the northern vine-growing region. In other parts of the country it is cultivated as single vines in plantations. Gamza is a comparatively late-ripening variety – its vintage is at the end of September and at the beginning of October. When the variety ripens, it reaches 19-21.8% sugar content. In Vidin District the accumulation of sugar is more intense and the technological maturity occurs earlier – around 15th September. If the autumn is warm and dry, the red wines produced from Gamza typically have a vivid but not very dense ruby colour, a pleasant taste of small red fruits dominated by raspberry and a distinct but mild freshness and pleasant tannins. Mavrud is an old local variety, cultivated only in Bulgaria from old times. It is spread namely in the Plovdiv District and less in the Pazardjik and Stara Zagora Districts. Mavrud is a late ripening variety – in the Plovdiv region the grapes ripen at the beginning of October. Deep, fresh alluvial soils in the warm micro regions of the country, where there is no danger of low winter temperatures, are the most appropriate ones for it. Mavrud is one of the most valuable local Bulgarian varieties for the production of red wines. The wines produced from this variety have a deep ruby colour, enough tannin and acids in reserve and a typical pleasant flavour in which one can detect the taste of tendrils and blackberry. The wines develop perfectly when they are in contact with oak wood and acquire a strong, complex flavour with a mild, dense and harmonious taste. This variety has been cultivated on Bulgarian territories since ancient times and it is considered to be an old Bulgarian variety. It is spread mainly in the sub-Balkan Valley and Sredna Gora – the Sungurlare Valley, and the Karlovo and Brezovo districts. There are smaller plantations in the Stara Zagora, Sliven, Yambol and Vratza districts. Hilly, airy regions are appropriate for it. Misket cherven is the most frost-resilient variety among the local varieties and it surpasses many foreign vine varieties, too. The wines have a straw-yellow colour, a harmonious taste and a pleasant Misket flavour. The famous white dry Euxinograd wines are produced when the variety is mixed with Dimyat and Italian Riesling. This is very old local variety, which has been cultivated in Bulgaria since the times of the ancient Thracians. In the past it was the most widely spread variety in Bulgaria. Today its plantations are highly limited. It is also cultivated in the former republics of Yugoslavia, Albania, and Turkey (around Odrin), Greece, Hungary and Romania. Pamid is a middle-ripening variety – the vintage is around the middle of September. Its fertility is excellent. Grapes with best quality are cultivated in hilly areas with light drained soils. This grape is prefered for fresh consumption. The wines are red, light table wines for mass consumption. They have low acidity and low extract and that is why they are not appropriate for maturing and should be consumed young, right after fermentation and clarification. This is an old local variety that has been cultivated since ancient times in the region of Melnik, which is where its name comes from. It is cultivated only in Bulgaria – a limited region in the Blagoevgrad District, around the town of Sandanski, Melnik, Petrich and the villages of Hursovo, Marikostinovo, Kapatovo, Vinogrady, etc. Shiroka melnishka loza is a late ripening variety. It acquires its valuable qualities only in the Melnik micro region, distinguished for its high temperature sum during vegetation, an early spring, a hot summer, a long, warm autumn and a comparatively mild and warm winter. The vintage usually starts in the first half of October. The young wines are distinguished for their dense cherry colour, their intense flavour dominated by cherry, enough density and a typical piquant tartness. They develop well in contact with oak wood. When the wines produced from this variety mature, they have a rich, complex flavour in which one could distinguish interesting nuances of tobacco and leather; the wine taste preserves its freshness and mild tartness. This variety comes from France and is considered to be the most prestigious variety for the production of red wines. It is cultivated in all vine-growing and wine-producing countries and it occupies around 10% of the world vine plantations. It is one of the five varieties of Bordeau wines and it prevails over some micro regions – Grav and Medock. The wines produced from Cabernet Sauvignon in California, Chili, Australia and New Zealand are extremely popular. In Bulgaria this variety is the most widespread one for the production of red wines. It is a middle-ripening variety – it ripens in September: in hotter regions – at the beginning, and in colder regions – at the end of the month. The wines are characterized by an intense flavour of small red fruits – namely black currants, blackberry and mulberry, intense dark red colour and good density. When the wine matures in oak barrels, it develops a rich, complex flavour in which spices, oak nuances and smoke are to be found. The older wines have chocolate and cinnamon flavour. The taste is dense, juicy and harmonious. The wines reveal their maximum qualities usually after 3 to 5 year of maturity. This variety comes from France. Just like Cabernet Sauvignon, this is one of the five varieties, which participate in the production of all wine in the Bordeau region. The variety is cultivated in southern France, too. It is widely spread in all vine-growing and wine-producing countries all over the world. In Bulgaria it is cultivated in all vine-growing and wine-producing regions. The grapes ripen around the middle of September – approximately 10-15 days before Cabernet Sauvignon. The wines mature slower than the ones produced from Cabernet Sauvignon and, when they are young, their taste is more harmonious because of the lower acidity and the presence of milder tannin. The flavour of the young wines is described as dominated by the taste of ripe cherry and prune. In some regions flora nuances can be found. The wine develops well in the presence of oak wood and the mature wines are characterized by a strong complex flavour in which oak nuances, candied fruit and smoke can be found. Truffle nuances are typical for the mature wines produced from this variety. Robert Moreal in the town of Ange, France, obtained this variety from a seed in 1852. Today it is spread in almost all vine-growing countries. Muskat Ottonel is a comparatively mid to early ripening variety. The vintage is usually in the first half of September but it often takes place at the end of August. The white dry wines produced from this variety are impressive, with an intense flavour of flowers, reminiscent of violets and geranium, with a considerable density and a medium freshness. The wines should be consumed when they are still young. Very good sweet wines are produced from this variety. The origin of this variety is connected with France. It is spread mainly in Burgundy, Champagne and Alsace. It is also well-spread in California where wines of high quality are produced from it. 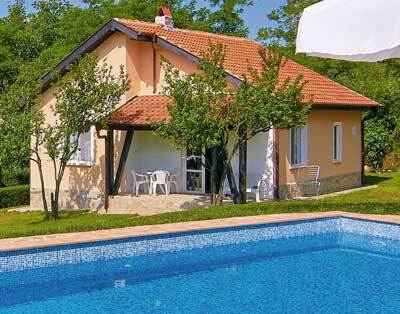 In Bulgaria it is quite limited – mainly around the Sliven district. Pinot Noir is distinguished for its excellent fertility. Typical for this variety is that it is rarely combined with other varieties. The qualities of the wines depend to a great degree on the terroir and the climate. In France prestigious sparkling wines are produced from it in Champagne, and red wines in Burgundy. When the wine is young, it is described as a wine with a ruby colour, incredible pleasantness and a flavour composed of the typical nuances of cherry, mulberry and raspberry and, sometimes, smoke. If the wine matures in contact with oak wood, it develops a rich, complex flavour. In Bulgaria this variety accumulates a considerable sugar content. The wines have a mild flavour, dark red colour and lower extract than the ones produced from Cabernet Sauvignon. This prestigious variety has been cultivated in France – Burgundy and Champagne – since olden times. Today it is widely distributed in all vine-growing and wine-producing countries all over the world. Its name is connected with some of the most prestigious French white wines coming from Chablis and Burgundy and the sparkling champagne wines. During recent decades the wines produced from this variety in California, Australia, Chili and Argentina have become extremely popular. Chardonnay is an early wine variety. In hot regions like the Plovdiv District it ripens at the end of August and at the beginning of September, in colder regions like northeastern Bulgaria – around the middle of September. White wines of extremely good quality are produced from this variety. They usually have an intense flavour, dominated by nuances of tropical fruit /melon and pineapple/ with fig and citrus accents and, if it is cultivated in limestone soils, typical mineral nuances. The wines produced from Chardonnay develop very well in oak barrels and have a rich, complex flavour. The origin of this variety is Austrian – it comes from the Traminer District in southern Tyrol. It is widely spread in the Franken District, Germany, and Alsace, France, where excellent dry white wines with notable prestige are produced. In Bulgaria it is cultivated on small areas in northeastern Bulgaria. Traminer is a comparatively early to mid ripening variety. In Bulgaria it ripens at the beginning and up to the middle of September. Traminer is resilient to low winter temperatures but it is susceptible to droughts. Comparatively rich humus-carbonate humid soils in the cooler, airy, hilly regions of northeastern Bulgaria are appropriate for it. Dry white wines are produced from the Traminer variety. They have a strong flavour with a harmonious fresh taste. The character of flavour can be described as intense with nuances of spices (this is where its name comes from) as well as flowery fragrance reminiscent of rose. The best wines from this variety are produced in northeastern Bulgaria. This variety comes from France and it is spread mainly on the southwestern Atlantic coast and in Pays d’Oc region. It is a constituent part in the production of world famous medium-sweet wines from Sautern and some prestigious dry wines from Entre-de-Mer and Grav. It is cultivated in Austria and New Zealand and is known as “Fume Blanc”. In Bulgaria it is cultivated in the Burgas, Razgrad and Targovishte districts and some micro regions that are appropriate for it. Sauvignon Blanc is a mid-early wine variety – it ripens around the middle of September. It is attacked by peronospore, oidium and grey mildew. In the region of Sautern it develops noble moulding, which adds an unforgettable taste to the wine. Depending upon the region and the vintage time, it can be used independently or in mixtures for the production of dry white wines with a fine taste. It is considered to be one of the most difficult varieties for wine production. The most typical flavour characteristics of the wines produced from Sauvignon Blanc are the flavour of hay, tropical fruit and gooseberries. The taste is sweet, delicate and extremely harmonious. The wines should be consumed when they are young. This is an Italian variety, widely spread in France. The famous French Cognac is produced from it in the Cognac region, France. In our country it is cultivated mainly in the Pomorie and Burgas Districts where high quality distillate wine materials and white dry wines are produced from it. Ugni Blanc is a late ripening variety – it ripens at the end of September and at the beginning of October. The wines produced from this variety are light and fresh with a fine, tender flavour. However, they do not develop their qualities when they mature. They are used mainly as distillate wine materials.